In many ways, we are just like a bank. We have all the financial products you’d expect, but there’s one characteristic that really sets us apart: we actively support Catholic families, schools, charities and parishes. For more information on how we can get involved within your Catholic parish, please contact us. It is our belief that when members of the Catholic faith are financially strong, the Catholic community prospers. The more we grow the more people we are able to serve. By making Fidelis your primary financial institution, you can expect prudent management in accordance with the teachings of the Catholic faith. For more information on parish benefits, please contact us. Since 1954, parishes have been our financial partners. Providing good stewardship over the resources entrusted to each parish is essential. Fidelis offers a wide variety of commercial loans and lines of credit to finance capital improvement or construction projects for parishes, schools and organizations we serve within the Archdiocese of Denver. Our Automated Giving Program can assist parishes in collection and management of offertory resources. It provides a means for parishes to automatically collect weekend offertory. Parish opens a Fidelis account and sets up an automated clearing house (ACH) program. Fidelis will process the ACH collections and deposit directly into the church’s account. *A $24 fee is applied for this program once a year. Our Tuition Payment Program allows schools the time and dependable funds to plan for the future rather than worry about monthly cash flow. We can help your school manage the financial aspect of things by enabling your business manager/administrator the ability to meet payroll, pay bills, purchase supplies, etc. By receiving a lump sum deposit at the beginning of the school year, an effective budget can be established. The following links are members of our Credit Union that you may find useful. We are proud to offer scholarships in the amount of $2,000 to nurture higher education in the Catholic traditions. If you have any questions, or would like more information on how we can partner with your school, please contact us. We also host an annual golf outing in August where we receive sponsor support of the Scholarship Foundation through local businesses and partnerships. This year we celebrate our 10th Annual Northwest United Scholarship Foundation Golf Outing that will be held at Hyland Hills Golf Courses- 9650 N Sheridan Blvd, Westminster, CO on Friday, August 11th at 7:30am (shotgun start). Registration will begin at 6:30am. We start accepting Scholarship applications starting February 1, 2017. Click on the button below to learn more and to access the application. We'll announce the scholarship recipients in May. Courtney Danis from Holy Trinity Catholic School. Megan Harvey from Nativity of Our Lord Catholic School. Ella Chapman from Shrine of St. Anne Catholic School. Jennifer Nguyen from St. Bernadette Catholic School. Peyton Frank from St. Louis, Louisville, Catholic School. Emma Zahller from Sts. Peter and Paul Catholic School. Molly and Hannah both attended Shrine of St. Anne's Grade School and Holy Family High School. The family has been parishioners at the Spirit of Christ Parish for more than 20 years, and members of the credit union for more than 15 years. Catholic Education is a priority for their family. Both Molly and Hannah loved their years at St. Anne's and always knew they wanted to go to Holy Family. Their grandmother and their dad both graduated from Holy Family and it meant a lot to both of them to be third generation Holy Family students. Receiving the scholarship was such a great financial gift to their family. Catholic school tuition is expensive and it was so helpful to have options like the scholarship to help with the first year of tuition. “It was such an honor to be recognized by the Credit Union for her hard work and good grades,” stated Molly Seaman. “It was really special that employees from the Credit Union took the time to come to the awards breakfast to give me the scholarship. Knowing that my older sister received the scholarship gave me the incentive to work hard and obtain good grades,” said Hannah Seaman. Currently, Molly is a freshman at Cabrini College in Radnor, PA. She is working on a digital media communications degree with a minor in business. Molly made the Dean's List her first semester and is also being inducted into the Alpha Lambda Delta National Honor Society. She joined the Catholic Relief Services group on campus, is a Cabrini Ambassador and will also be an Orientation Leader next year. 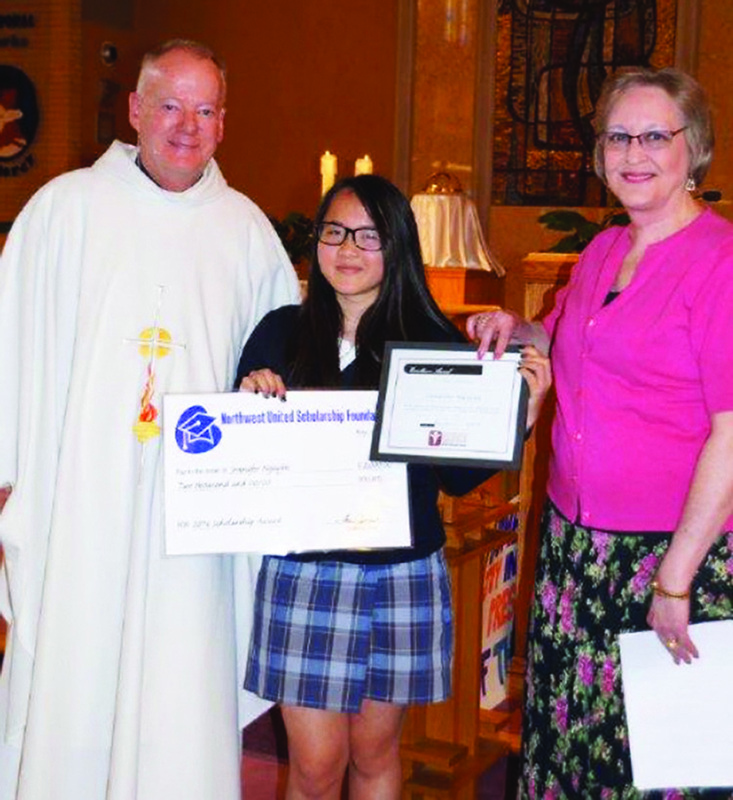 Hannah is a freshman at Holy Family High School and made the honor roll her first semester. She was a cheerleader this year and received a letter for her cheer activities and competitions and an honorable mention for academics. She is in the French club and will be confirmed in April. “We are proud of the girls and their accomplishments but we are so grateful for their Catholic education because it has made them better people, stronger in their faith and has also given them a passion for service and helping others. 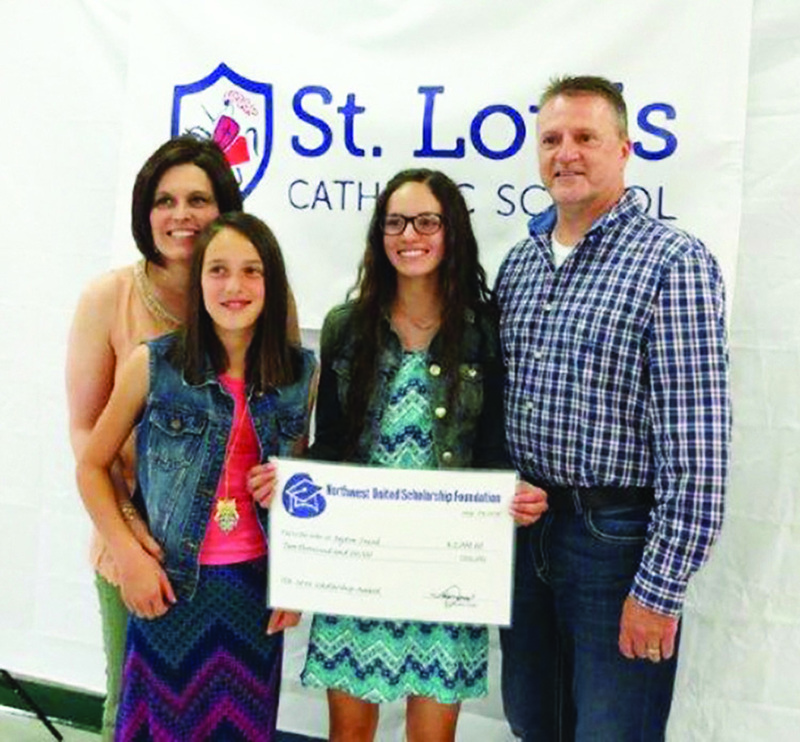 Again, we can't thank the Credit Union enough for helping us with their Catholic education with the scholarship you provide,” said JoAnn and Tim Seaman.